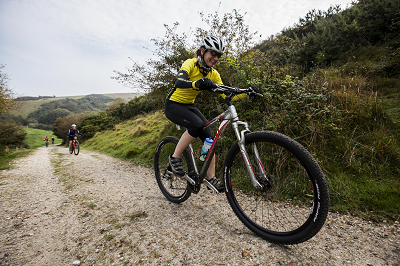 The Jurassic Coast on the beautiful Isle of Purbeck is a great setting for some stunning mountain biking. Combine this with walking along the South West Coastal Path and you have yourself a challenge! Challengers arrive at the hotel at their leisure. The day begins with a safety briefing at the hotel, before heading off in our groups along a choice of routes for a 35km ride amongst the varied terrain of the Jurassic Coast. Say hello to Old Harry, before turning inland and heading towards the undulating terrain of the heathland. 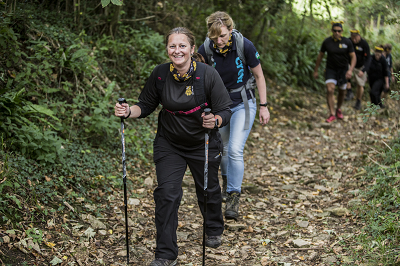 The transition area at Corfe Castle signals the end of the riding section, and our support crew will be on hand to serve you some well-earned refreshments to replenish your energy and prepare for the next stage of the challenge – the hike. The hike itself will take around 4 or 5 hours, where we travel up and over the ridgeline, and then along the South West Coastal Path. Various route options will be offered, and you will be led in your group by an experienced local guide at all times. Don’t forget to leave enough energy for the final climb up to the café and a well-deserved celebratory drink! After a final toast, everybody will be transported back to the hotel for showers and to get changed in time for the celebration meal. Breakfast is taken at your leisure, before departing for home.